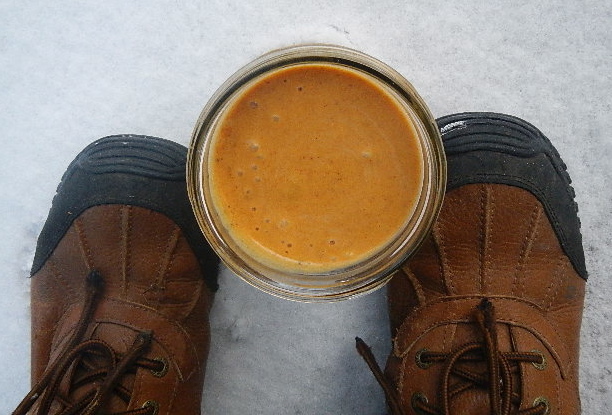 Powder days call for…vegan Pumpkin smoothies?! Today the snow fell, and it was awesome. Even though I am totally ready to start playing in the snow, I am not ready to give up smoothies. So today was about compromise, I won’t hate on your hottie totties and cocoa, but don’t mess with my holiday vegan Pumpkin smoothie. “Girl, don’t you see it’s cold outside? 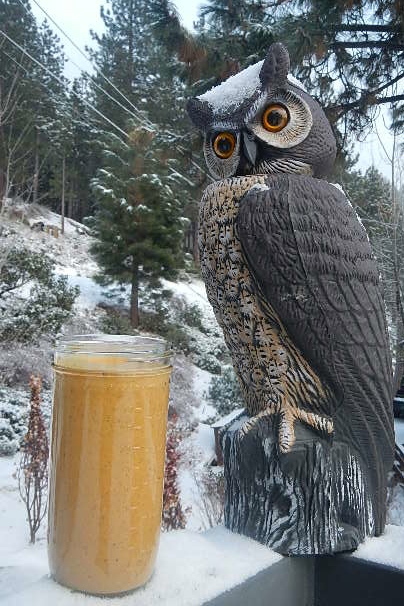 Why you makin’ a smoothie” – Owl (clearly). But this smoothie? It’s worth goosebumps on a powder day. 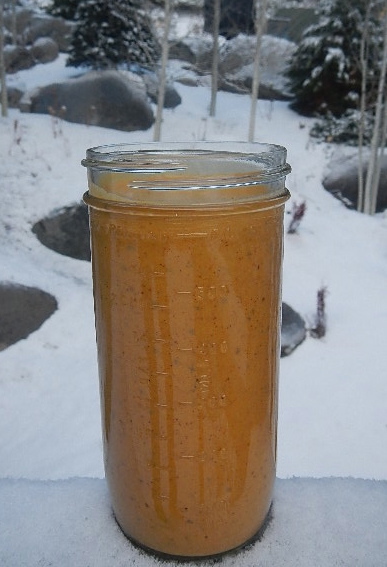 Pumpkin and chia seed fill this smoothie with fiber and keep you full for hours, chia and almond butter pack it with protein for your cold snowy adventure. Vegan, gluten free, bonus points for general festivity.